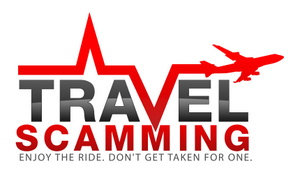 Border crossing scams are the most prevalent type of travel scams that exist. Many scammers like to hang around the borders and offer their services to you. They will tell you that they will get the visa for you and charge twice the normal rate. Sometimes the driver of your taxi or bus will also try to convince you that you need their help, and they will charge you for their services. There will also be people who will tell you that there are no ATM’s in their country and will try to change money for you at highly increased rates. The border officials themselves will often try to tell you something is wrong with your passport and ask you for a bribe. Make sure before traveling that you have plenty of blank pages in your passport, as some countries require you to have a blank page to place their stamp. Do research ahead of time about the border crossing rules in the country that you are traveling to and how much the charges will be. If you arrive informed, then you will know if someone is trying to scam you. Don’t give any money to anyone who is not wearing a uniform. If you feel like someone in uniform is trying to bribe you, then ask another person in uniform what the regulations are. Always ask for a receipt for any money that you pay. If you feel like you have no choice but to pay a bribe to an official, just give them a small amount and tell them that it is all the money that you have. 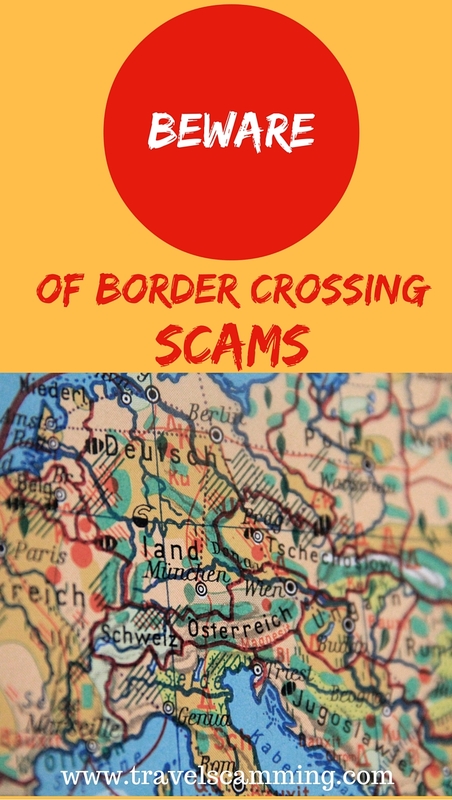 Border crossing scams are particularly known to happen at the Thailand-Cambodia, Belize-Mexico, Peru-Chile and the Ghano-Togo borders. If you travel across the borders informed, your border crossing should go smoothly. Happy travels! Belize-Mexico border is notorious for fake entry/exit fees, there are none, but they will usually charge “gringos” a $20-25 fee for entering and/or leaving Belize. However they’ve recently begun turning obvious tourist visa renewal seekers away from their borders. Basically anyone that has been in Mexico for a good amount of time on their 180 day tourist visa will be turned back. It’s not quite clear why this has started happening, considering how much money they must’ve been getting from all those fake fees. So unless you’re on some sort of adventure tour, if you’re a gringo you now have a higher chance of getting turned away, even if you’re only looking to vacation their and not doing a visa run. This is one of the best uses of the internet and of travel blogs. One can get information of such ‘activities’ before visiting a country. Thanks. Keep up the good work. Laura @Travelocafe recently posted…German Handicrafts & A Very Merry Christmas to You All! Thanks for this information. It’s always good to go somewhere and to be informed. This is a great post! Thanks for sharing. I think we actually had this happen to us! We were on a road trip and went to Albania. The border agents spoke zero English and we of course don’t speak Albanian. They kept trying to say something was wrong with our documents, which nothing was, and wouldn’t let us pass. We stood our ground and after nearly an hour of arguing back and forth, plus holding up every single car behind us, they just threw up their hands and let us pass into Albania. We think they wanted a bribe but weren’t going to give in. There are some countries that require you to change a certain amount of money on the border before entering. When I’ve tried to enter Moldova, I had to pay the road tax (somewhere around 5 $ for a week) and to have at least 50 $ cash on me. Of course, all of it the moldavian leu. However, the exchange wasn’t that bad, compared to Ukraine or Romania. And that’s something near the European Union. I can only imagine what happens on other more “secure” borders, where they want a bribe to let you in, keeping you hours at the border because of it. Thanks for the tips! Yes, it’s a bit crazy at the borders. I prefer to fly in and avoid them!